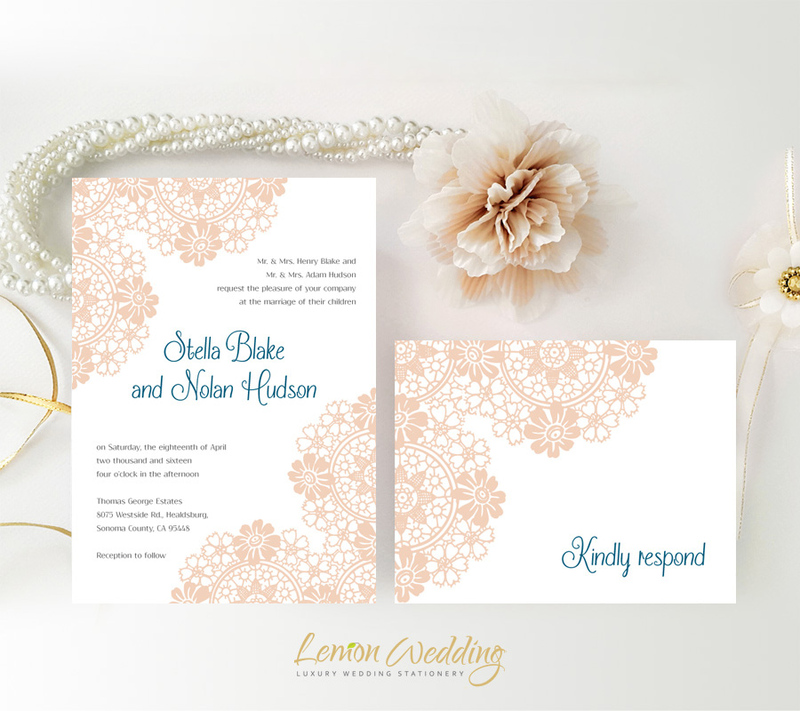 With the date finally set, share the news of your upcoming wedding in the most elegant manner with our Blush Lace Wedding Invitations. 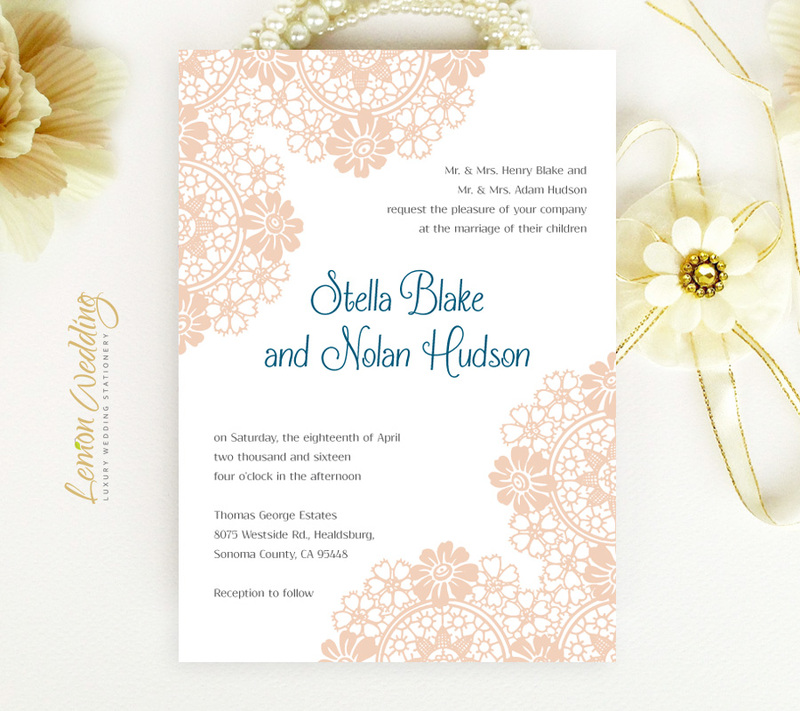 Featuring a beautiful floral lace design, our blush wedding invites are the perfect match for a elegant ceremony. 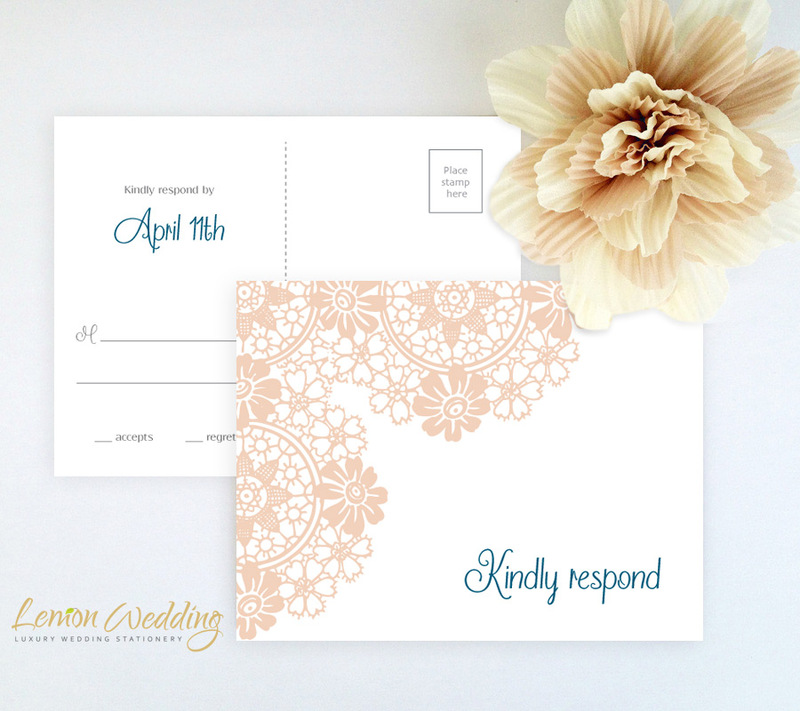 4X6 RSVP self mailing postcard.